My last four videos in the Back to Basics Series focused on the basic supplies you need to get started making cards and great techniques you can do with those supplies. In this tutorial, we'll use circle dies and the masking technique to create a sort of halo effect and add sentiment dies. If you missed the other videos in this series, click here to view them. 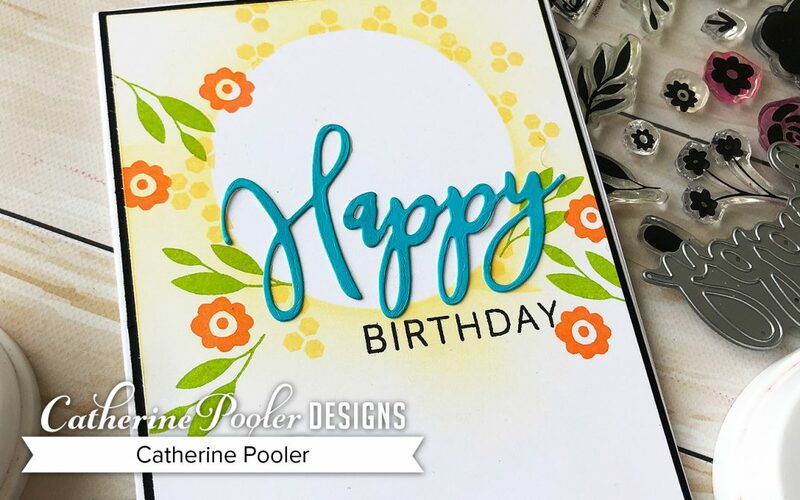 When die cutting a circle from a card front sized piece of cardstock, be sure to save both pieces. In this case, you can use it to sponge the inside of the circle from the negative die cut, or sponge around the outside of the positive circle die cut for another look. Before I die cut “happy”, I used the direct to paper technique to drag the ink pad across my cardstock to dye it which created a gorgeous Fiesta Blue cardstock. Perfect to go with the Orange Twist, Lime Rickey and Tiara on this card! The flowers, leaves and hexagons were all stamped before removing the mask. 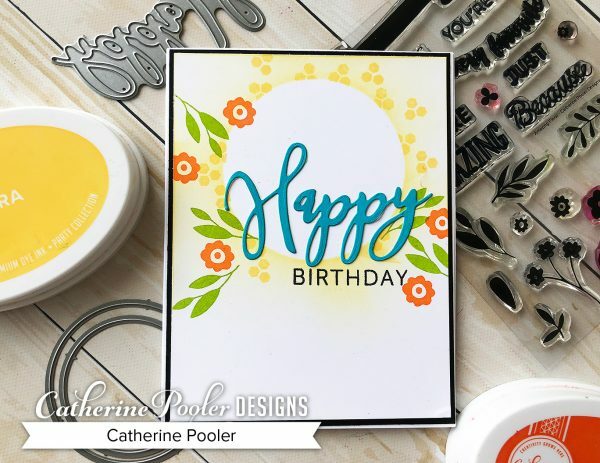 The die cut “happy” and “birthday” make this a cheerful and bring Birthday card! Thanks for visiting with me today, hope you get a chance to get inky!